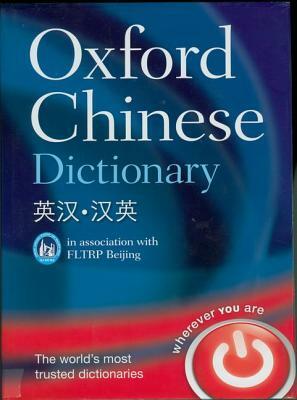 The Oxford Chinese Dictionary offers authoritative and in-depth coverage of over 670,000 words, phrases, and translations. The foremost English-Mandarin Chinese bilingual dictionary available. Research Press in Beijing, together with an international body of expert advisors. and Chinese, providing up-to-date evidence on real language. The English is based on the Oxford English Corpus, and the Chinese draws on the LIVAC corpus from the City University of Hong Kong. English can pronounce each one correctly. The Chinese-English section of the dictionary is organised alphabetically by Pinyin and there is also a radical index which allows you to look up a character without knowing its Pinyin form.